The Foundation administers over twenty scholarships for graduates of Henderson County’s public high schools. Each scholarship has a specific purpose and tailored eligibility criteria. The scholarships are managed by the Foundation’s Program Committee and staff, with the involvement of high school counselors, teachers, and scholarship review committees, including members of the Henderson County community. Congratulations to the 2018 Scholarship Recipients. 2019 Scholarship Deadline is February 11th at 11:59 pm. 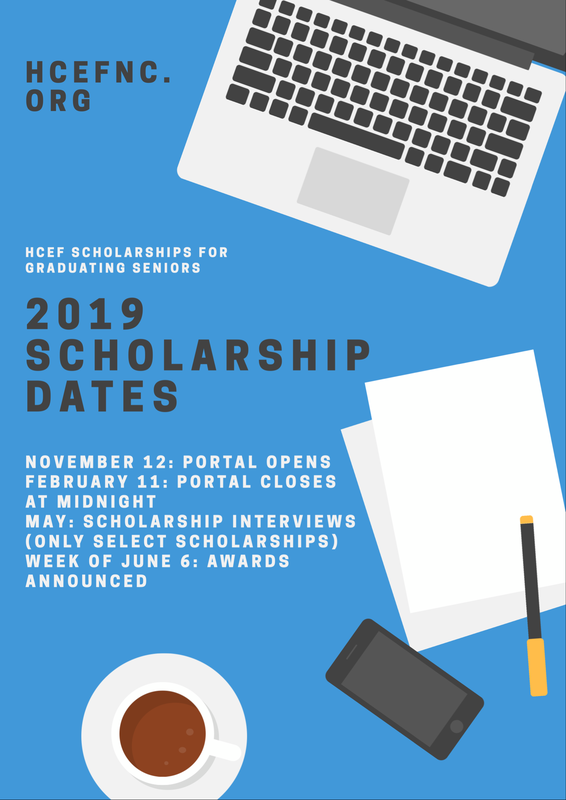 Email at scholarships@hcefnc.org or call the office at 828.697.5552. We are typically in the office on Tuesday, Wednesday and Thursday of each week.